Diabetes | Your Health. Your Lifestyle. Looking back, you may remember Bill Clinton’s quadruple bypass that he went through following his presidency. Since that time, I have asked myself if his doctors asked him to take nutrient Coenzyme Q10, combined with a prescription for Lipitor after the incident. There are a number of reasons why they may have considered doing this for the former president. To start, Lipitor is known for being able to block the body’s production of cholesterol, which was a main contributor to Bill Clinton’s quadruple bypass. Along with stopping the production of cholesterol, the drug is also known to block production of a nutrient that is actually very important, CoQ10. Chemically, cholesterol and nutrients are very similar. This is why Lipitor typically blocks both, which can be quite damaging long-term. This is why doctors may have prescribed that Clinton take CoQ10 along with his prescription of Lipitor following his quadruple bypass. Although it is rarely known or heard about, CoQ10 is actually one of the more necessary nutrients that our body produces. It is truly used throughout the entirety of the body and is also sold throughout many supplement stores as a very powerful antioxidant, only being outsold by multivitamins and the various fish oil products. There are several different forms of the nutrient that are currently available for purchase. If it goes by its chemical name, CoQ10, then it is likely going to be a cheaper and more accessible version. When you see it for sale, and it is actually titled Obiquinol, you can go being a bit more expensive, but also much higher quality overall. There are also several more expensive forms that are available for purchase. One of these is Hydrosoluble Ubiquinol, which typically is twice as expensive, and is also a water soluble. If you have the money to spend, this is the highest quality version of the antioxidant that is currently available for purchase. CoQ10 is so important because it is one of the main determining factors in the production of energy throughout the body. This means that the substance is mostly found throughout the energy producing areas of the body, although can be found throughout. CoQ10 always has its strongest concentration in the heart, which should not come as a surprise. The combination of Lipitor and CoQ10 would have been very beneficial for an individual that was in Bill Clinton’s predicament when he had his quadruple bypass surgery. A deficiency in CoQ10 has been directly linked to ongoing heart disease. As you age, you typically gain large amounts of the chemical throughout the body, mostly in the heart. Although as you age you do lose a fair amount of CoQ10 in both the liver and lungs, most large increases are found in the heart. It has been directly connected to heart disease, if you have a deficiency in it. So then, don’t you consider it strange that medication that is supposed to be good for your heart, may actually end up hurting it in the long run? Most individuals over the age of 90 typically have large amounts of CoQ10 found in their system. Although it is not currently known if this is a byproduct of the aging process, or its own issue, the research is clear that CoQ10 deficiencies do play a role in heart disease. Although corporations are typically able to provide individuals with excellent careers and great jobs, one does wonder if perhaps the products that they are selling us to fight off heart disease, don’t end up contributing to heart disease in the long run. Using this drug in the fighting of cholesterol, definitely helps to reduce cholesterol, but some points have been raised about how damaging cholesterol can truly be. Large amounts of cholesterol don’t automatically mean that something is wrong. In fact, unknown to most people, cholesterol is a natural process in which the body fights off disease. Many people go onto have heart attacks, that came from blocked arteries, with seemingly normal amounts of cholesterol. If you listen to the news and general medical talk on the television, you would probably believe that cholesterol is the number one contributor comes to blocked arteries are. That is not always necessarily the case, although it can definitely have an impact on the situation. Some have suggested that it is perhaps the diets of those in Western culture that contributes to this heart disease. Some have linked it to inflammatory sugars and carbohydrates that are seemingly riddled throughout the diets of your average American. Others have looked at polyunsaturated foods that are also found throughout your average Western diet, including olive oil and corn, as some of the main contributors to the problem. So, With this research that has been conducted on Lipitor, one wonders if Bill Clinton’s doctor told him about the findings, and the general risks involved. Using this for reduction of cholesterol, but actually, in all probability, contributing to heart disease, is simply immoral, but one wonders if the president was allowed to be made privy to the dangers that can create. Did they inform him that as life goes on, these levels of CoQ10 typically go up in the heart, and a that Lipitor blocks its production, and a deficiency can be linked to heart disease? It certainly begs the question, does the pharmaceutical industry truly craft products that are geared toward long-term health, or are they simply releasing products that typically help individuals with short-term problems, regardless of the long-term effect of the attack. If you take a trip to the Lipitor website, you will find that they mention a number of different side effects that an individual can experience when taking the drug. They do list a few different side effects that you might expect to hear, the main one being ongoing muscle weakness after taking the drug. However, no mention is made of Lipitor blocking CoQ10 anywhere on the website. What do you think that a medication that has been released to help treat heart disease, would release make a mention of the potentially damaging effects of the medicine can have if you do not take the proper medications alongside it? You would think that this would be at the top of their list of priorities, but given the information on their website, they should be called into question. Individuals that take Lipitor should be more inquisitive about the long-term effects of having CoQ10 blocked by the drug. It is always in your best interest to ask your doctor as many questions as possible. Again, you are not trained in the medical profession and they are, but there is no harm in asking about things that you have read about. If you are interested in taking supplements that actually show long-term, positive effects for the heart, you may want to consider taking Ubiquinol. 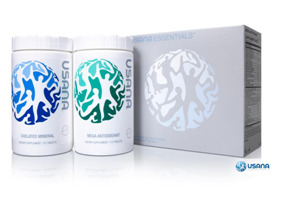 You can take anywhere up to 400 mg of Ubiquinol per day, sold in Hydro soluble form. Along with this, you should also take vitamin complex B-50, which should allow you to get a cheaper version of both complex B-6 and B-12. These have been shown to help you reduce the main problem in many of you had with heart disease, the production of a terrible amino acid named Homocysteine, which can be very damaging to the heart. Although taking supplements can be beneficial in reducing the impacts of heart problems later in life, the number one step that needs to be taken is to cut back on all of the foods that lead to these issues, and really making a change in your diet. Although the pharmaceutical industry will have you think that taking their drugs is the only solution to this problem, most are not aware of what a perfect on the effect a proper diet can have on their life, and especially on heart disease. Remember, it is typically these foods that cause the heart disease in the first place, so it would make sense that replacing them were avoiding them would provide innumerable long-term benefits. Speaking With your doctor about this issue can be very beneficial as well. Bringing in some documentation about your worries regarding Lipitor blocking QoC10, in speaking with them about it can help to ease your fears and your professional opinion on the matter. In general, if you would like to avoid the production of cholesterol within the body, avoid polyunsaturated through and can include various corn and corn syrup, sugars and carbohydrates that can cause inflammatory conditions, food that the body cannot easily digest, trans fats that are found in all commercially baked goods, and fruit juice. Taking care of your body is a lifelong task, and you should be willing to conduct research on your own, outside of the misleading pharmaceutical industry, which often will understate negative effects and overstate the positive effects of the various drugs that they release. Finding a happy medium between taking the beneficial drugs that they provide and conducting your own research will involve speaking with your doctor about your concerns and getting their opinion on it. Make sure that you are seriously looking at QoC10, how it can be blocked by Lipitor, and it taking Lipitor is truly in your best interests. Balance nutrients. Studies show that potassium deficiencies can raise blood pressure. Most Americans only get about half the daily recommendation of 4700 mg. To bump up your intake, enjoy bananas, tofu, beans, and potatoes. But roast or bake the veggies — boiling can leach minerals into the water. Put down the salt shaker. The going wisdom contends a sodium–rich diet raises both systolic and diastolic numbers, which should measure around 120/80 if normal. Go easy on high–salt condiments like soy sauce (which contains well over 1000 mg/tablespoon) and ketchup. Avoid high sodium canned and dehydrated foods. Stick to fresh meats over processed ones. Go with unsalted butter. And when you’re enjoying nuts, purchase unsalted varieties or brush off the salty granules with your fingers. Know the effects of pharmaceuticals and supplements. Herbal supplements like ginseng, ephedra, licorice, and feverfew have been linked to hypertension. Hormonal birth control products, decongestants, acetaminophen, and antidepressants are all known to cause a surge in blood pressure. On the flipside, garlic and flaxseed may help lower your readings. New research shows that anthocyanin consumption may be associated with a decreased risk of type-2 diabetes. Flavonoids are found in plants and serve as pigments to help attract pollinators, filter out UV light, help in nitrogen fixation, and several other roles. An important class of flavonoids is anthocyanins. Anthocyanins are powerful antioxidants and can be found in blueberries, bilberries, raspberries, grapes, and many other plants. In addition to their antioxidant capacity, data also supports a beneficial effect of anthocyanins on insulin sensitivity. However few studies have looked at their effect on type-2 diabetes. An article published this month in The American Journal of Clinical Nutrition looked at the relationship between flavonoids and type-2 diabetes. Researchers analyzed data from 70,359 women in the Nurses’ Health Study, 89,201 women in the NHS II, and 41,334 men in the Health Professionals Follow-Up Study. The mean age of the participants was 50, and all of the individuals examined were free of diabetes at baseline. Follow-up revealed that 12,611 cases of diabetes had developed since initial screening. Participants were asked how often, on average, they consumed different foods. 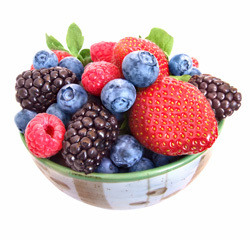 Flavonoid content in each of the foods was analyzed to determine total flavonoid intake. Flavonoid intake was also broken down into five subcategories, they were: flavonols, flavones, flavanones, flavan-3-ols, and anthocyanins. The researchers found that anthocyanin consumption was associated with a decreased occurrence of type-2 diabetes. These results were observed consistently across all three study groups examined. In addition to regular exercise and maintaining a healthy weight, a diet in flavonoid-rich fruits and vegetables may be a beneficial strategy to help lower the risk of type-2 diabetes. There are 2.8 million people in the UK diagnosed with diabetes and an estimated 850,000 people who have the condition but don’t know it. What’s worrying experts most is that Type 2 diabetes – more commonly associated with older people – has risen sharply in both young adults and children. We may be facing a “diabesity” epidemic – so-called due to its link with obesity. In his new book, Say No To Diabetes, nutritionist Patrick Holford controversially explores the possibility of both preventing and reversing Type 2 diabetes through diet alone. He argues that standard medical recommendations for those with Type 2 diabetes – eat carbohydrates with each meal and cut down on fat – can cause spikes in blood-sugar levels, further exacerbating the underlying blood-sugar problems that relate to diabetes. He believes more focus should be placed on a low-GL (glycemic load) diet to help stabilize blood sugar levels, combined with supplements. Holford’s critics say his diet advice is just common sense, conceding that, combined with a healthy lifestyle, it will have some effect. However, they argue that, by the time Type 2 diabetes is diagnosed, patients are often already displaying complications associated with the disease which can’t be reversed, so medication is an ongoing equipment. Holfod advocates taking chromium supplements, as studies indicate they decrease insulin levels and improve blood-sugar metabolism in those with Type 2 diabetes, as well as the obese. However, the jury’s still out. If you cholesterol is too high, or if you just want to minimize the risk of heart disease in the future, there are lifestyle changes you can easily make to reach your goal. • Modify Your Eating Habits – Following a heart-healthy diet may seem like a hard challenge, because it seems that all of the really delicious foods are forbidden in this kind of diet. However, just paying attention to a few easy guidelines can make it easier, and your heart will really thank you! 1. Choose foods that are low in saturated fats and cholesterol. It is easy to remember that any plants. Another way to remember is to avoid any fats that are firm at room temperature. (The two exceptions are the coconut and palm oils. These, too, are bad for you and are often used on commercially prepared popcorn products and other snack foods). Don’t use animal fats like lard and butter for cooking. Use olive oil and corn or checking the labels of packaged foods and don’t select foods with the wrong kind of fat! Choose lean cuts of meat, try switching to fish (it raises HDL) or skinless white poultry. When eating out, order smaller cuts of meat so you just eat less. Or share your main course and order an extra salad and baked potato. Switch to skim milk and low fat dairy products. 2% milk is still high in fat, so wean yourself down to 1%, then to skim if possible. 2. Choose foods high in starch and fiber. These products are very good for you, and help to give you a “full” feeling! Cut down on the animal foods products and eat more of the healthier plant-based products. 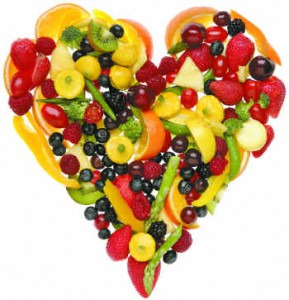 Fruits, vegetables, and grain products like oat, barley, and beans are the food to incorporate into a heart healthy diet. • Be More Physically Active – Physical activity can have a very positive effect on cholesterol. Research has shown that physical activity raises the good HDL cholesterol and lowers the bad LDL cholesterol you should try to be physically active for 30 minutes on most days. This is a good way to lower your risk of heart disease along with lowering blood pressure, and reducing stress. • Lose Weight If You Need To – Being overweight increases cholesterol levels. Several interesting studies have shown that people with extra weight in the stomach, as opposed to those with extra weight in the hips and thighs, are at higher risk for heart disease. Losing even just a little weight can bring cholesterol to healthier levels. • Medication – The vitamin niacin is very effective in improving cholesterol levels. Although niacin is non-prescription, using it successfully requires guidance from your physician. One group of drugs called “statins” has been very effective in lowering blood cholesterol levels. Ask your doctor if these drugs might be helpful for your situation. 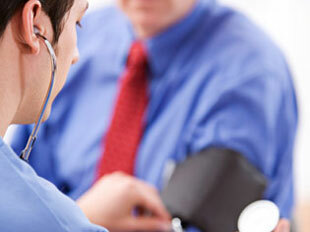 The American Heart Association provides material on heart disease, as well as cholesterol concerns. They also offer a free program called “The Cholesterol Low Down”. Contact them for more details about this special cholesterol program. Fill your shopping cart with these nutritional powerhouses to reduce your diabetes risk. According to a new study, adding an extra serving of veggies daily could cut diabetes risk by 14 percent. Nuts. Research shows eating peanuts, almonds, pistachios and other nuts can help control diabetes symptoms. Cinnamon, sage, oregano and turmeric have anti-inflammatory benefits and flavor food without added calories, sugar or salt. Brown foods. 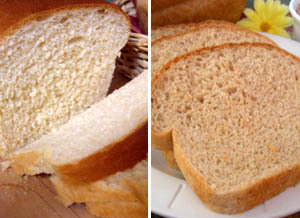 High-fiber grains, such as wholewheat bread, brown rice and oatmeal, satisfy without spiking blood sugar levels. Low-fat dairy. Research shows that the calcium in low-fat or nonfat milk, yogurt and cottage cheese aids weight control.